Who cares how great looking your website is if your audience isn't finding it? UPLONE strategic formulas help companies get found, increasing relevant traffic across the web — targeting organic search engine result pages and pay-per-click advertising including Google, Bing, Facebook, Twitter, and LinkedIn. UPLONE digital marketing helps businesses create reach and achieve higher search rankings and higher returns on the investments they make in their web assets! Building a great looking website nowadays isn't THE challenge. There are many low-cost CMS tools and great looking website templates available. In fact, I build and update websites daily for clients, but some clients build and update their own websites — and I recommend they do if they can. With millions of great looking websites out there THE challenge then becomes driving traffic to websites and standing out from very crowded search results. This is where UPLONE is THE expert! My name is Dennis Ryan and I'm the Founder and Chief SEO at UPLONE. I've been doing search engine marketing (SEM) for global companies since 2005. I've worked through several major search algorithm updates and reacted preemptively for my clients. No client of mine was adversely hit by any algorithm shifts. My SEO is clean. A secret to ranking well in Google is to at least respect Google's standards. 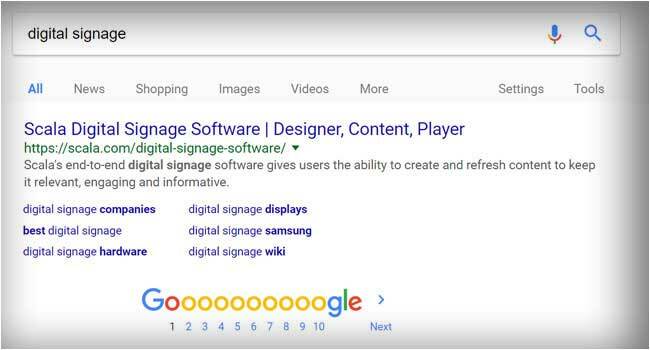 Following their SEO quality guidelines, which creates the best content and user experience for Google's customers so Google will be proud to show your site and rank it highly. That part is simple. I focus on search engine marketing (SEM) so I can be an expert and bring clients the highest level of results and return on their investment in me. I also help agencies and work as a consultant to C-level executives on digital marketing strategies. I've helped local and global companies show up on page 1 of Google, Bing & Yahoo! and I can help you too. Search engine optimization, pay-per-click (PPC) advertising, mobile click-to-call (CTC) campaigns, and search engine marketing (SEM) all work powerfully together to increase your brand presence and website traffic. You’ve heard those acronyms before I'm sure, but what do they mean, and better yet, how can they increase your enterprise’s return on its marketing and ad spend investment? UPLONE is the right SEO and SEM to help get your company showing in search with top rankings, which will greatly contribute to the success of your business. Is your search working for your business the way it should: 24/7/365? Let your website work for you, even while you sleep! 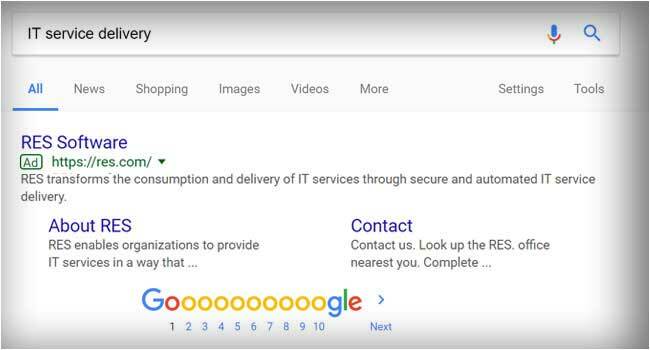 UPLONE recently helped a global software company get on page 1 (from page 4) on Google, and their website traffic and leads have increased 40% from this huge upward move in search engine result page (SERP) rankings! Do you want to achieve higher SERP rankings for your business? Call me today on my direct line (717) 964-8736. I can discuss options for how UPLONE can help your business show higher in search. UPLONE drives ROI for clients through highly strategic search engine marketing, while offering essential digital marketing services including website design & development, eCommerce, email marketing & automation marketing, multimedia design, and branding! Search engine optimization is still the most prevalent marketing activity across agencies, says The Search Engine Marketing Professional Organization (SEMPO) industry report on online marketing activities. Showing that across 92% of agencies SEO is still tops, and is significantly higher YOY. With online consumers ignoring banners and browsers using blocking technologies for pop-ups ads, marketers must find a way to reach their customers. UPLONE's formulas just work! If you ain't on page 1, you ain't getting clicks. Period. A recent study by Chitika (an online ad network) found that 91% of all clicks from search queries happen on page 1. What traffic are you missing out on from search? For over 10 years I've been helping businesses increase their position on the top engines – Google and Bing. In fact, I got Scala on page 1 for the phrase “digital signage”. As with anything else... hire the right person because experience matters. Page 1 SEO is not easy. If it were, you’d do it yourself. Hiring the wrong SEO can be expensive. Negative SEO is real. I've had success for other companies and I can for you too. I can tell you from experience that when I'm successful getting your company on page 1 locally or internationally the increase in traffic as a result pays for the investment in me. I have flexible packages to fit most any marketing budget and all of them come with reporting so you can easily and quickly gauge return on investment (ROI). Organic SEO takes time. Paid search you can see results in the same day. Traditional advertising is no longer working, so if you're still paying for that you need to talk to me. Invest in SEO today and put your marketing dollars to work in a smart, effective way. Search based advertising is a top ROI process for enterprises with 84% indicating they run paid campaigns. UPLONE tweaks PPC campaigns to get the maximum clicks at the minimum cost. High quality-scoring landing pages and running efficient campaigns greatly increases returns. What is retargeting? Deliver customized ad content to potential customers over and over across many channels on the Internet depending on page content and relevant cookies. Focus Your PPC w/ Remarketing! What is Remarketing? When someone visits your website, you place a cookie, and then show them ads later on other related websites or forums. Huge conversion potential! The right display network can be powerful – Have your banner ads ONLY show on web pages with relevant content or to audiences that have expressed interest in your specific product or industry. Relevant ads can drive conversions through the roof! PPC monthly services cover initial set up, monthly management and monitoring. Most clients typically use Google Ads, but I've seen great success with others like Facebook and LinkedIn Ads, depending on audience metrics. Improving on a business's search rankings is not an easy task, in fact it's quite difficult and is an ongoing process, especially if your target is page 1. There is no shortage of people saying they can help you show higher in Google (some of them are kids fresh out of college that read a few blogs on SEO and then call themselves search engine experts), but you have to be very careful about who you hire to do your search engine optimization. Cheap SEO tactics can adversely affect your rankings and sales. Pssst.... Google's SEO team formerly headed up by Matt Cutts also reads the same blogs about “How to do search engine optimization” and adjusts their algorithms accordingly. I can't tell you the number of times I had to go in a fix a business's reputation and rankings after a cheap SEO took their money and ran. To optimize for search engines correctly you need expertise and experience, not just to follow the latest tweet “Top 10 things to do for SEO”. Before you hire an SEO ask for a track record of search engine success. Your site needs to be fast and responsive nowadays. Mobile search is converting at a higher rate than ever before. Mobile SEO is important! Whether by a phone, a tablet, or a laptop folks are finding solutions to their needs through search engines. Make sure your business is being shown higher than your competition in search results. SEARCH RESULTS are vital to the growth of any business in today’s eCommerce rich, web world. Every day, millions of advertising dollars shift from traditional advertising media to the Internet. And these dollars will never move back! 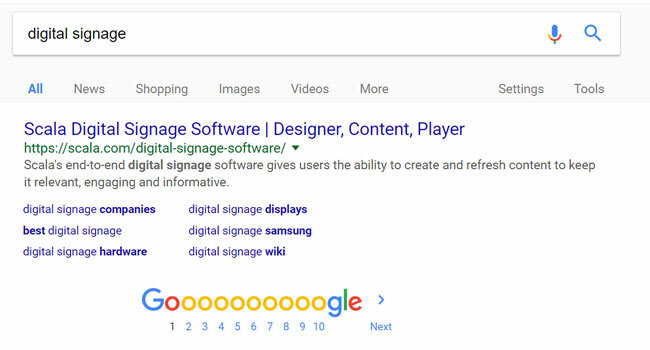 Attention to where your website shows up on the search engine results pages (SERPs) is paramount. 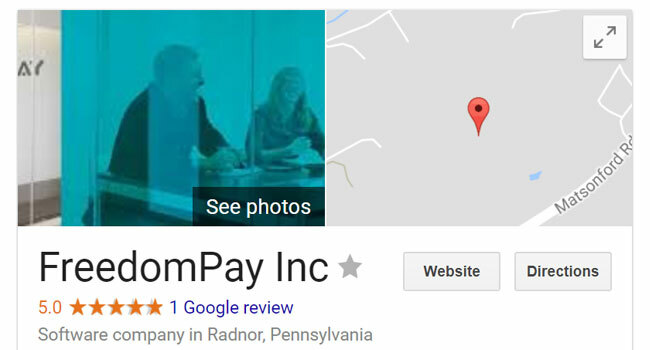 Google can make or break a business. 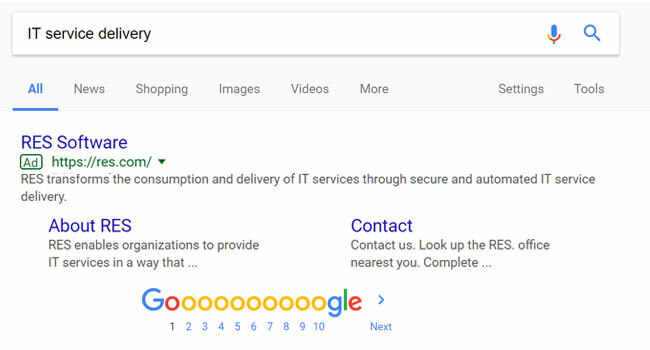 I've seen businesses double sales volumes (and then they want to give me a big hug) due to the simple fact that their business is now showing up on page 1 of Google's search engine results. The difference is mind blowing. I cannot overstate the value of page 1 results, even for Bing. Whether that be on a local or international level, it's key. A few examples I pay attention to when auditing a site and its content: optimization of your business’ site content, showing attribution, obtaining organic link acquisition, etc. It takes keyword discovery, meta-description and analysis, link analysis, competitive keyword analysis, social account tracking, ranking comparisons to competitors, and paying attention to the all-important page load speed, just to name a few. Common surface problems I usually find are improper header tags, broken links, poor keyword selection and saturation, etc at the very least. But the real power of UPLONE's formulas lay deep below the on-page tactics. I also provide analytics and reporting on monthly Key Performance Indicators (KPIs) for indicators such as website traffic, bounce rate, time on the site, how people are finding your website, what keywords they are using, Geo-targets, demographics, and goals to monitor lead conversion ratios. I know the recommendations from Google. Heck, I heard them straight from the horse's mouth last time I was at the SMX West and the International Search Summit in San Jose,CA. I also know how to read between the lines based on industry shifts and using common sense on how to make the best decisions for Google's customers – and my formula continues to prevail. There are simply no quick fixes to propel your company to the top of Google's rankings, and there shouldn't be. It takes honest hard work, care, and quality content. And that means hiring the right search engine optimizer. Today your customers are searching for solutions to their needs through major search engines like Bing, Yahoo! and Google. This means that more and more ad dollars and customer eyeballs are moving online and away from The Yellow Pages and other traditional advertising print mediums. UPLONE focuses on organic search optimization for our clients and their websites. We focus on Google’s search engine optimization (SEO) because it handles the majority of global search queries. Isn’t it about time your website captured more of this customer shift by becoming one of those ’10 blue links’ on Google’s page 1 of organic search results? We focus on making our client web sites search engine friendly, so that the engine’s search-bots can scan their sites with ease and rank their websites with top results. In fact, search engine optimization is a recommended web design goal for all clients. Again, the percent of business attracted by search engines is growing exponentially. Your business needs to show up high in the search engine result pages (SERPs). Consumers are first turning to search engines like Google to find a business that caters to their needs. Is your website invisible to the search engines? Google is constantly changing their search algorithms and formulas to help their search-bots index web sites effectively. Google alters these formulas to stay current with the Internet and control search spammers and cheaters. What does all this mean to your business website? This means that your site may not be as visible to the search-bots therefore, not bringing the highest amount of traffic to your site. UPLONE realizes the importance of optimizing websites for search engines, in fact, our own SEO may have brought you here today. What is YOUR Google Page Rank??? Page Rank is a variable that Google uses in its billion-dollar search results formula. Page Rank is built on a proprietary algorithm that formulates how popular your web page really is on the Internet. UPLONE also does paid ad optimization across social outlets, with formulas very similar to our Google ones used for Google Ads Success breeds success. Campaigns work very much the same for Google pay-per-click (PPC) and pay-per-impression (PPI) advertising as it does across Bing, YouTube, Facebook, Twitter, and LinkedIn. If you're an agency or consultant and you need SEO help for your clients also, I get that. Proper and clean search optimization is not easy. I have a great formula though and I can white label the process and its success for you and your clients. UPLONE has been helping global, national, and local clients create reach with strategic digital marketing since 2005! In fact, more than a few global software companies like Scala, RES Software, and FreedomPay have trusted us with website design, SEO, PPC, branding, along with other essential digital marketing services. Michael Wyszomierski, a Pennsylvania native, from Google's Search Quality Team personally shared some great search tips with me. Not only am I connected directly in Michael's network on LinkedIn I invited him and his team to come into Lancaster, PA, to visit Shady Maple and give a talk on Webmaster Tools (now called Google Search Console) to local businesses including small B2B & B2C businesses. He keynoted the 2015 Tech Conference in East Earl, PA. His team had lots of knowledge to share about Google's standards with clients in the Plain Community and the Amish of Lancaster County. Learn more about Google's Quality Guidelines for search optimization. Take care with your search optimization efforts! Hiring the wrong SEO will hurt. Since where you show on Google can make or break your business, you'll want to be very careful with whom you hire. Don't just read a blog about "How to increase SEO" and follow those steps on your business website. Experience matters. You have to optimize with care and love these days! Ready to start your next marketing quest with UPLONE? That's great! Give me a call or send me an email and I will get back to you as soon as possible! © 2005-2018 UPLONE™ All rights reserved. SMB Services | Veteran owned small business. Made in the USA.